Coming out this month, June 2013, the new Flood and Fisher multimedia identification guide to North Atlantic Seabirds! This time covering Pterodroma petrels! Bob Flood has been a regular customer to Wind Birds’ Zino’s Petrel Pelagic Expeditions, from 2010 to 2012 he joined 5 of these 3-day package pelagic expeditions. So we are proud to announce that all video footage and photos of Zino’s Petrel Pterodroma madeira on this guide were taken on these ultimate pelagics offshore Madeira. 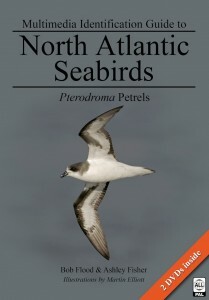 Considering the quality of the first of these Multimedia guides, the one about Storm-petrels and Bulwer’s Petrel, first published in 2011, we are certain that this new guide about Pterodroma Petrels will be equaly useful for the pelagic birders around the world. Congratulations to Bob Flood and Ashley Fisher for their great work!